This is a paid blogpost by Steigen. Today I am gonna share with you all about Automatic Laundry System. I am not exactly a pro in this area but as a HDB Taitai (Housewife) I can tell you all about the headaches we face daily when doing Laundry. I am not sure about you, but I love doing Laundry. I love the nice smell that clothes have when the Sun shined on it. Ahhhh… I love sunning my pillow, my blanket, my bedsheet because I love the sun. But we know 1 thing for sure….. We don’t have the Sun everyday, sometimes it will rain too. Then our service yard / balcony does not necessarily face the Sun. 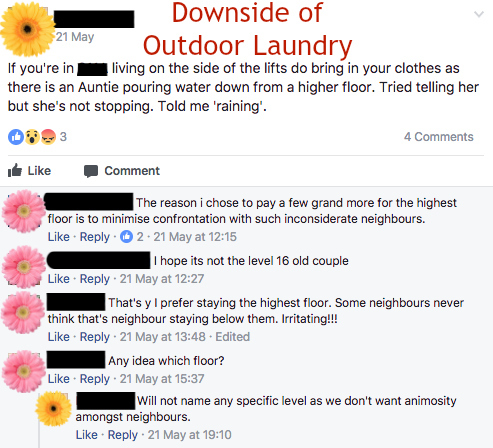 So how do we dry our clothes???? Option 2: Chase the Sun. If the sun shines at living room, move all your clothes to the living room. Cons: You will not be able to open your main door because you will feel a little embarrassed if neighbours see all your personal clothings hanging all around the living room. If your friends visit you? You need to shift everything back to the Service Yard and your clothes won’t be dried. 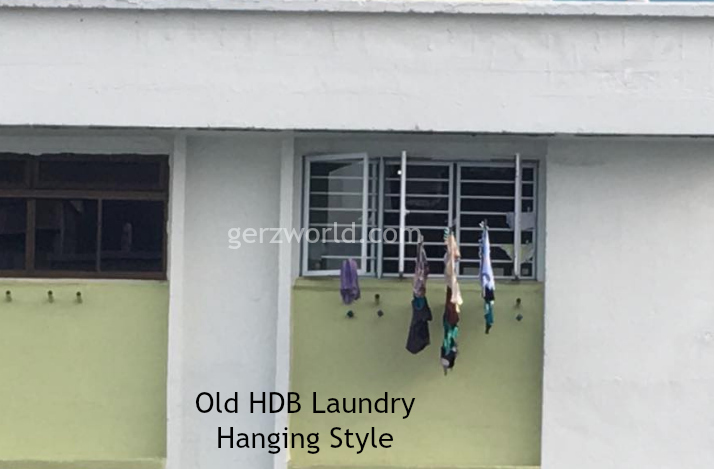 Therefore I am here to share this good lobang with you guys….. Automatic Laundry System! Here are the 10 Benefits to enjoy if you choose the Exalt Solar Automatic Laundry System by Steigen! Which means, you no longer have to dry your clothes outside and worry if your neighbour will pour dirty mop/water down. This also means during raining you no longer need to be worried about keeping your clothes. And don’t you guys find it dangerous to hang clothes using a pole like this? I am always afraid what if someone loses grip and the pole falls down and hit the pedestrian walking under it? But you will then be worrying about smell caused by Indoor Drying because the clothes did not “touch the sun” right? This brings me to REASON NUMBER 2!!! 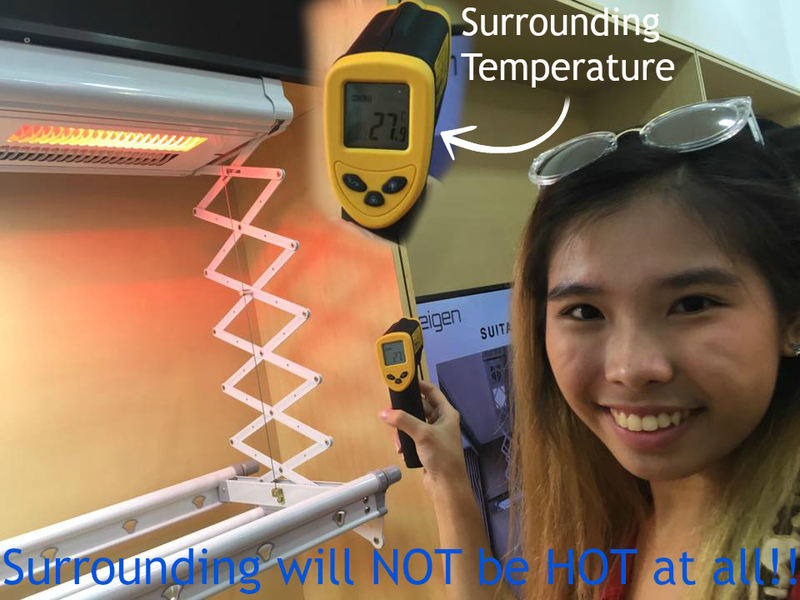 #2 It stimulate Sun drying at 36 degree celsius. Known as Dual Solar Tubes. So no need to worry about Indoor drying will cause clothes to have a smell. 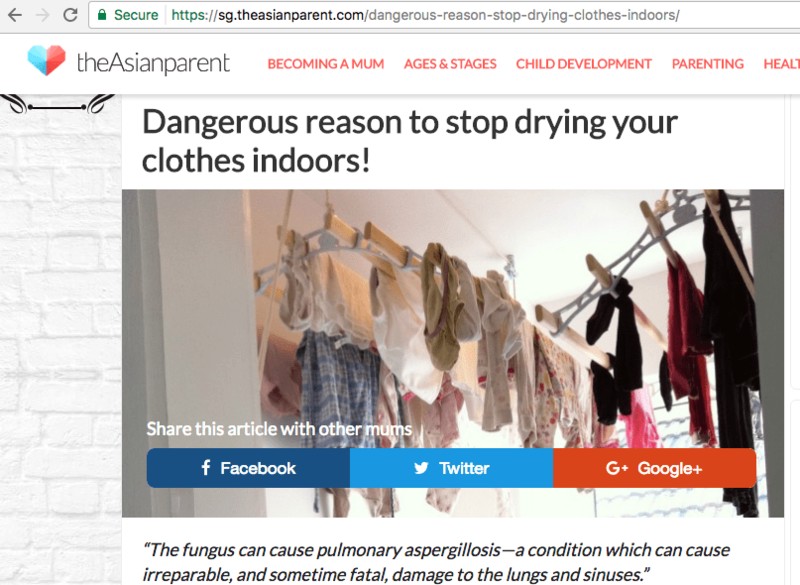 As we all know that Indoor Drying will cause clothes to have a smell, it increase moisture level and it cause clothes to mold hence it’s bad for clothes. It’s also bad for health!!! Not I anyhow say one…. I have personally took an Infrared Thermometer to test the temperature. It’s really 36 degree Celsius at the Highest point. Most importantly surrounding won’t be hot too!! See the experiment I did. But you must be worried again, what if my clothes are silk, delicate fabric like swimwear? Will 36 degree celsius of heat on it be too harsh on the material? This brings me to REASON NUMBER 3!!!! #3 It has 2 Turbo Fans!!! Known as the Dual Turbo Air Circulator. Can you guarantee that your house have Natural Wind all day long? No right? But the Exalt Solar can! Like for my Mermaid Tail, it can’t be dry under the sun because the heat can damage the fabric, and take away it’s vibrant colour. So I can only “Air-Dry” it. But I can’t throw it into the Dryer because it’s too hot. 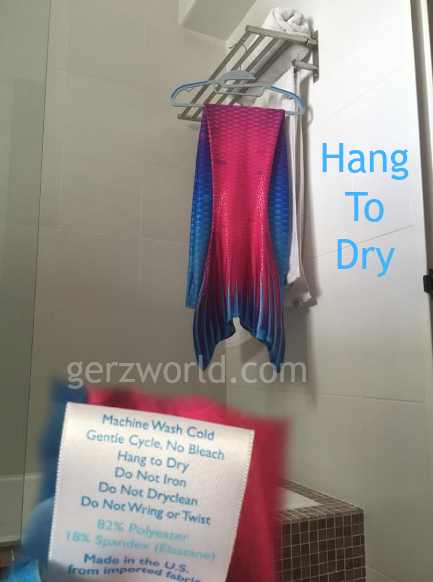 They use hot air to dry it and it will break the delicate Mermaid Tail spandex material. Without the Exalt Solar, I can only simply Air Dry it in the Toilet and let the water drip drip drip drip. Because I can’t wring it or Twist it!!!! ONLY CAN HANG TO DRY!!! #4 It can STOP AT ANY HEIGHT! As we all know 1 fact, all the new current BTO (built-to-order) flats are getting smaller and smaller. The service yard / balcony is also getting smaller, and we need to iron our clothes there, have a Tall shelves over there to keep our Detergent and cleaning tools, so we need to save as much space as possible!!! Some of my neighbours stacked up their DRYER and it caused our original Pulley System Rack to spoilt! WHY?!?! 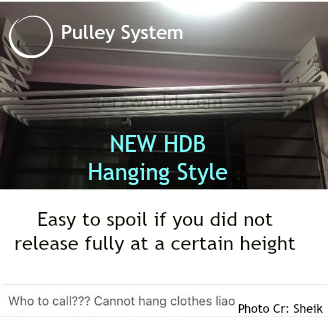 Because this Pulley system given by HDB is a little Fragile, it needs to be Fully Released and used gently. Otherwise…. This will happen……. Well, *touch wood* it did not happen to me. Hopefully not you too but IT CAN HAPPEN to my neighbours it means it can happen to me in future too!!! So eventually I still have to repair it or change out of this system. 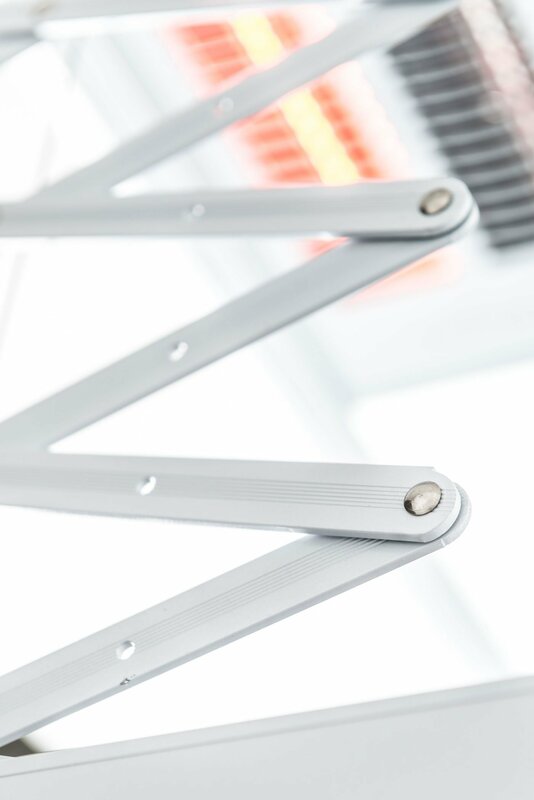 So you must be thinking… If the Exalt Solar is not using the Pulley System and it can stop at any height… Then how do I control it to stop?! Let me explain to you in Reason Number 5! #5 It comes with Battery Operated Remote Controller! Yes, no wiring, no drilling. You can keep the Controller like how you keep your aircon controller. 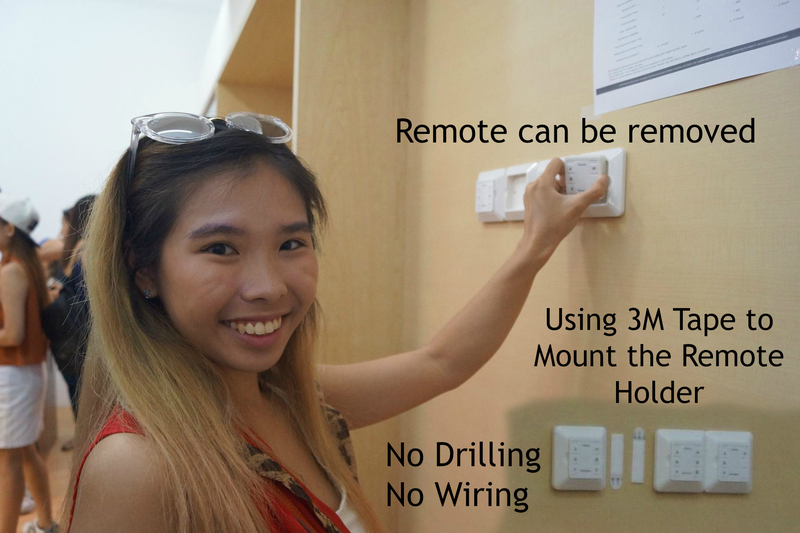 Either in the drawer or mount it on the wall using 3M Tape or paste magnetic tape and stick it at any metal spot. The controller can be used within a 100m extended range! But remember not to lose it. Otherwise you can’t pull the rack down. LOLS!!! Next issue you must be thinking, if I am doing my laundry under it, then if my Kid like to play with the remote and lower the system and then will it hit my head when I am under it?!?!?! So follow me to my next Reason Number 6! As the name suggest, if you are under it, it detects your presences or any object presences, it will stop automatically! After after you seen the video above you definitely doubt the “Usability” right? You must be thinking… Huh? So small? How to hang my KING SIZE BEDSHEET?! How to hang my heavy Comforter when it’s wet? Can it take the heavy load???? Of course it can!!!!! Just because you think you use so much effort to pull your heavy load up, you think the Exalt Solar cant tahan the weight? Or not big enough to hang all your load? 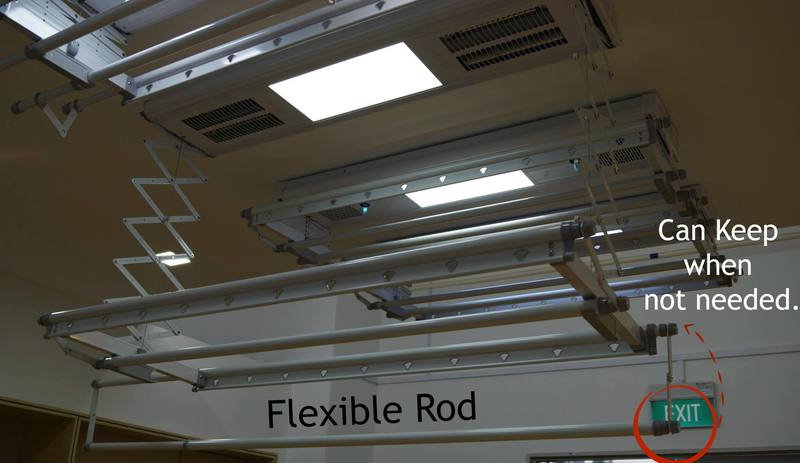 #7 Extendable Poles which allows you to adjust to any length and it’s Flexible too! 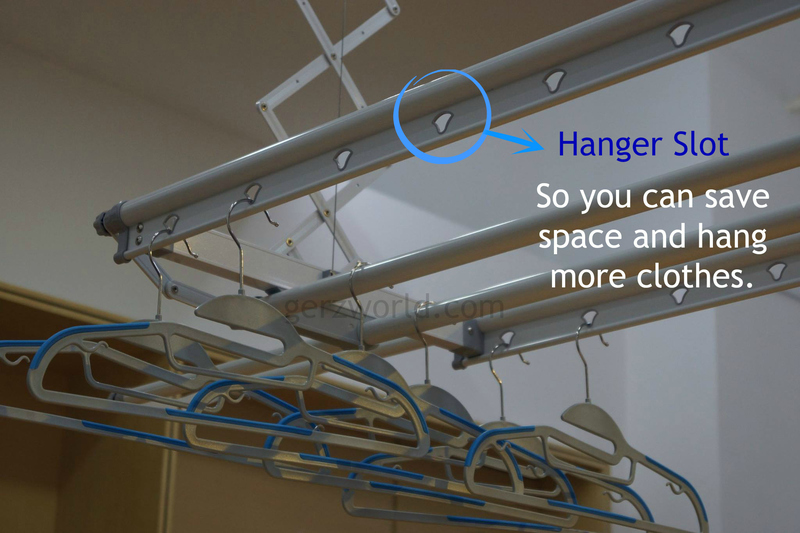 So when you don’t need to hang large laundry items, you can keep it at it’s original length but when you have large items (i.e King size Comforter) then you can EXTEND / pull the rod longer to handle those biggies. Size wise, ok… But what about weight? You know lah, laundry when wet, it’s super heavy!!!! Yes you are right, Laundry might be 8kg when we put it into the machine but when it’s wet, it’s 12kg!!!! #8 Able to handle 35kg of weight! 35kg means it can almost 2 full loads!!!! But enough space to put 35kg worth of clothes? Of course can!!! But not everything can be hanged on a hanger!!! So how??? 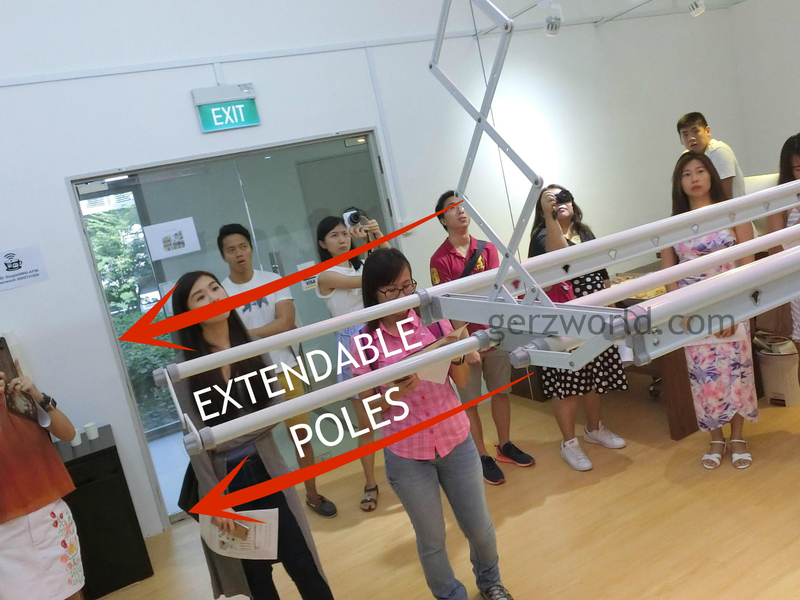 Their poles are flexible, you can flex it out when you need more space!!! But is the material steady???? Passed 100,000 cycles test and come with 2years warranty. Even if 2 years later something happened, the spare parts are below S$100!!! 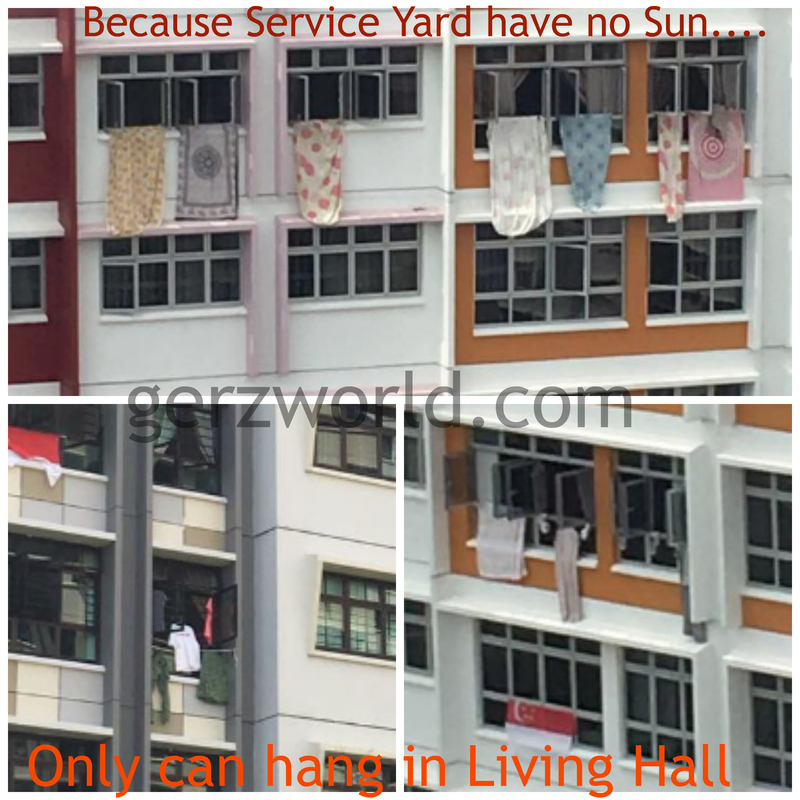 My neighbours and I moved into our new HDB in less than a year….. But………. 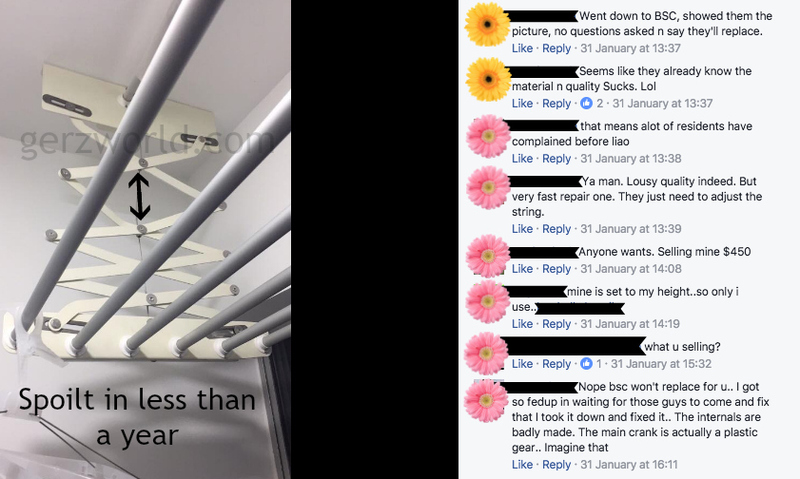 You might say, maybe my HDB project Pulley System have issue… Maybe other Projects have no issue because we used different contractors. But sorry, the above photo is taken by my friend who is not staying in the same project as me. So we can roughly know, the Pulley system for everyone is a little fragile and we need to handle with TLC (Tender, Loving, Care)…. 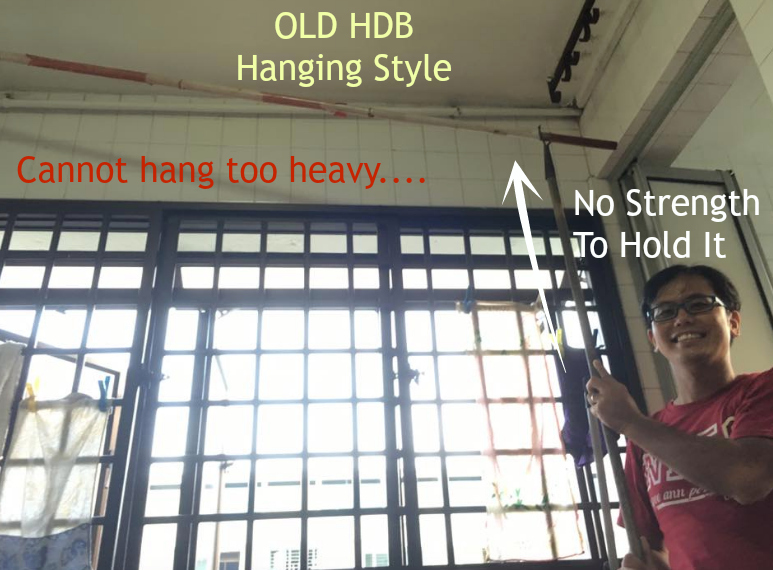 But let’s not complain… You take a look at the old HDB which is my Mother-in-law’s HDB. My mother-in-law is super small sized like me and we have difficulty using this hanging method. At least we still have Pulley and String to pull and raise our Laundry up. My mother-in-law have to use another Bamboo Pole to reach the hooks high above. 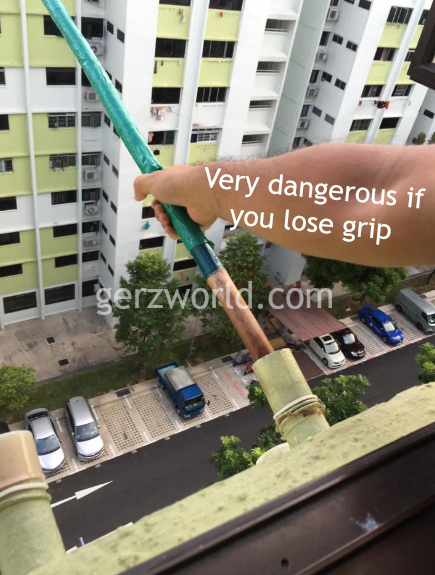 It’s so dangerous right??? 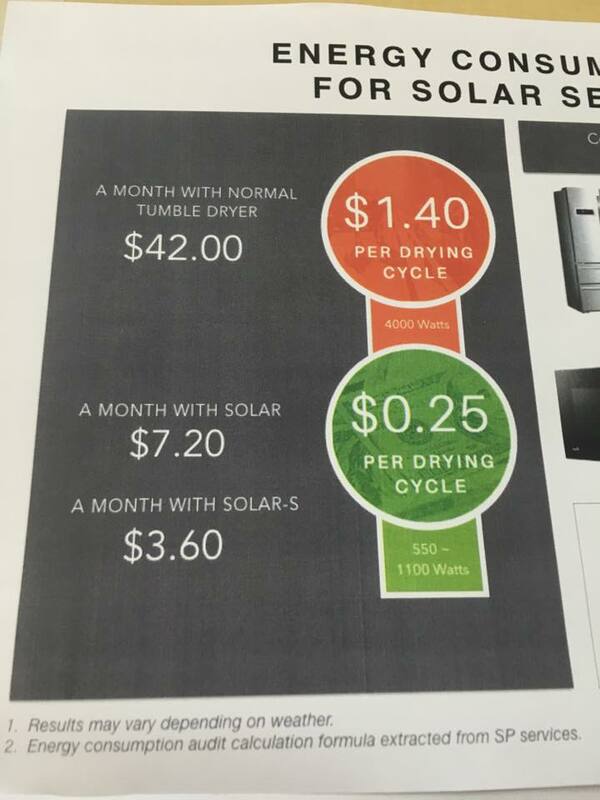 #10 Save electricity compare to using DRYER!!! Yes, it’s definitely more environmental friendly and pocket friendly…. It uses 550-1100 Watts of electricity which means for 2hrs of drying using 2 Solar Tubes and 2 Air Circulator, it only cost 25cents!!!!! 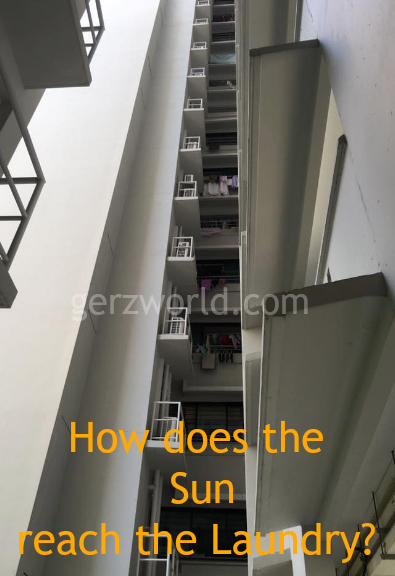 Solar tubes to simulate sun drying effect and Air circulators to increase drying speed help to kill germs and bacteria and remove any odours in clothes, leaving them safe and clean to wear! 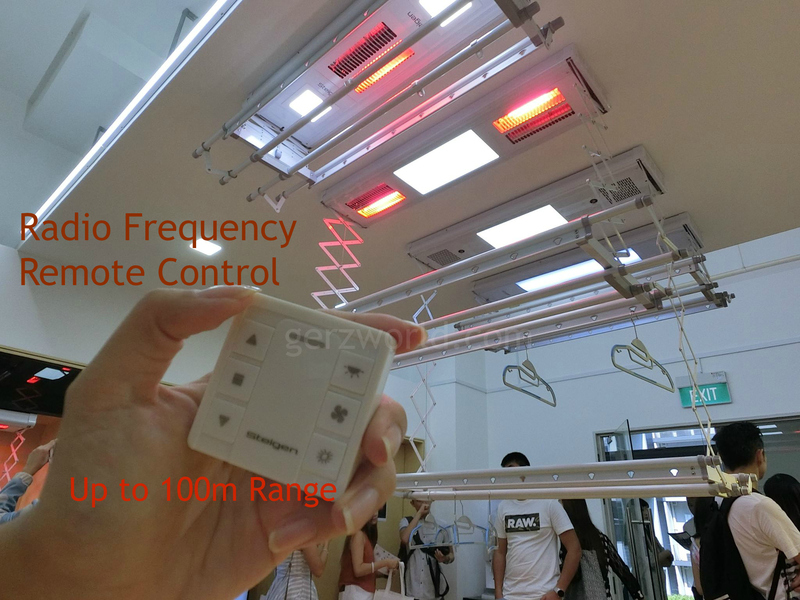 Solar tubes and air circulators will auto turn off after 2 hours so you no need to worry that you will forget to turn anything off!!! Most importantly, we can do laundry anytime!! Rainy days, Cloudy days, Night time, anytime!!!! You know why? Because I am a housewife, I always walk around the neighbourhood and see what can be done to make it a better place! HAHAHAHA! Ok fine… I am just Kaypoh (Busybody)….. But I always share good lobang with you guys right???? $50 off for Ger’z World readers!! 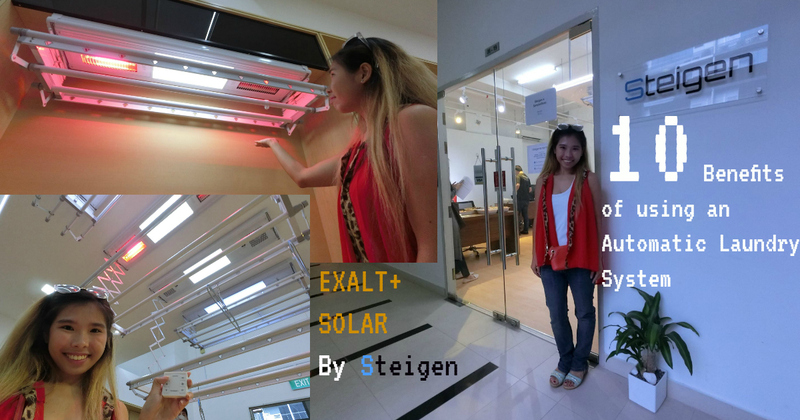 If you are interested to make a purchase, please you can proceed to https://www.steigen.com.sg/products/exalt-solar and during checkout, apply the “STEIGEN50” discount code to enjoy $50 off your Exalt Solar purchase! Disclaimer: I do not earn anything if you purchase from Steigen I am just helping you to get discounts. I do receive monetary compensation for this blogpost but I don’t get to use and keep the product. Feel free to watch this video of the Exalt Solar. You can also visit their Official Retailer to try this out yourself! Remember to also like their Facebook page and stay tune to other offers. Do note: This post was paid by Steigen.